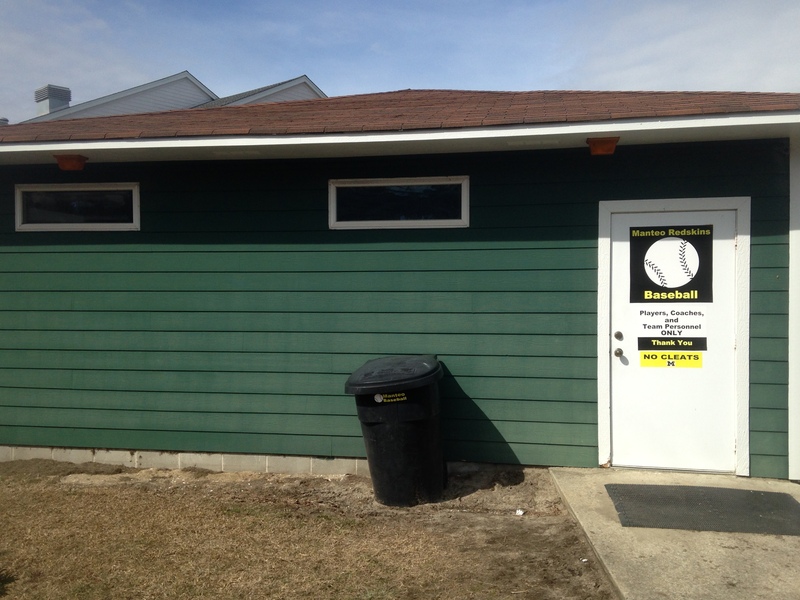 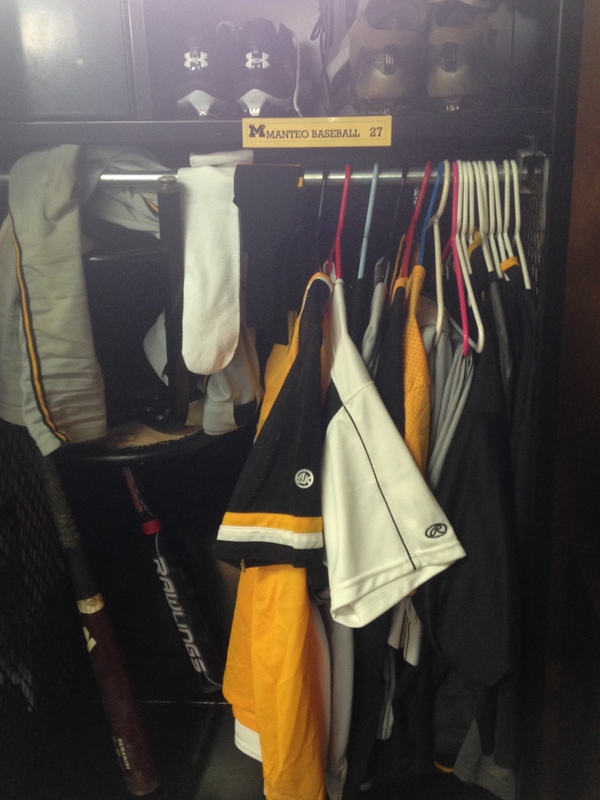 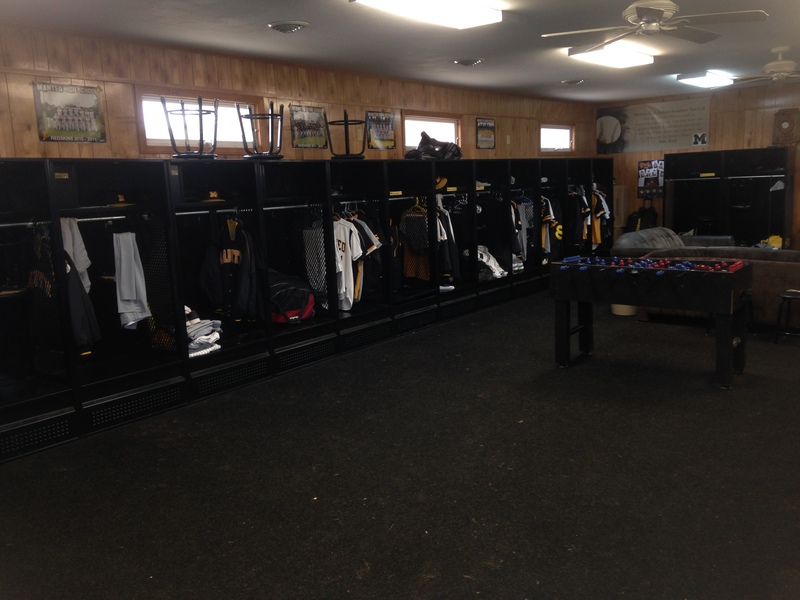 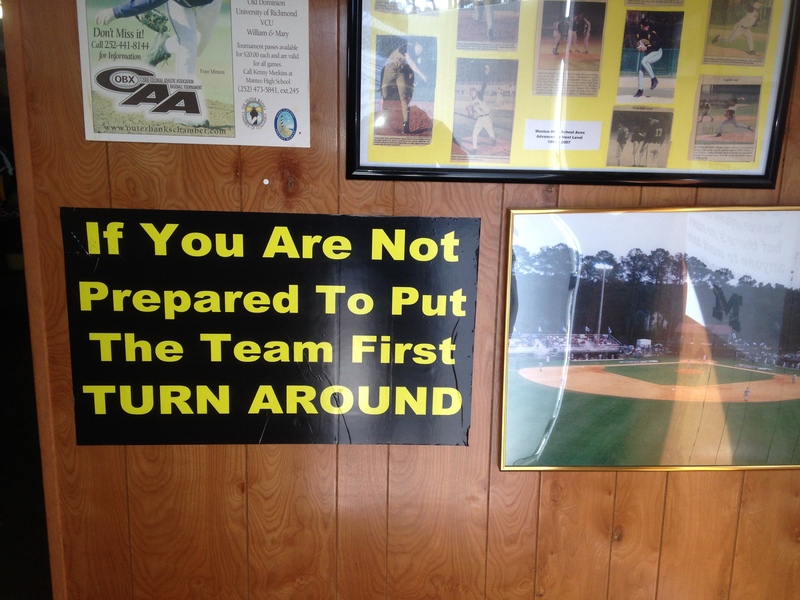 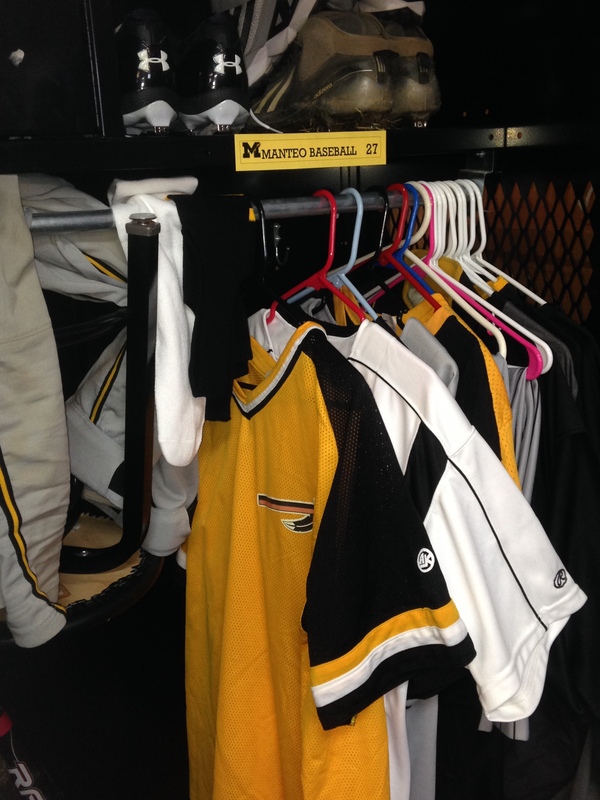 Located down the left field line is the Manteo High School Baseball player locker room. 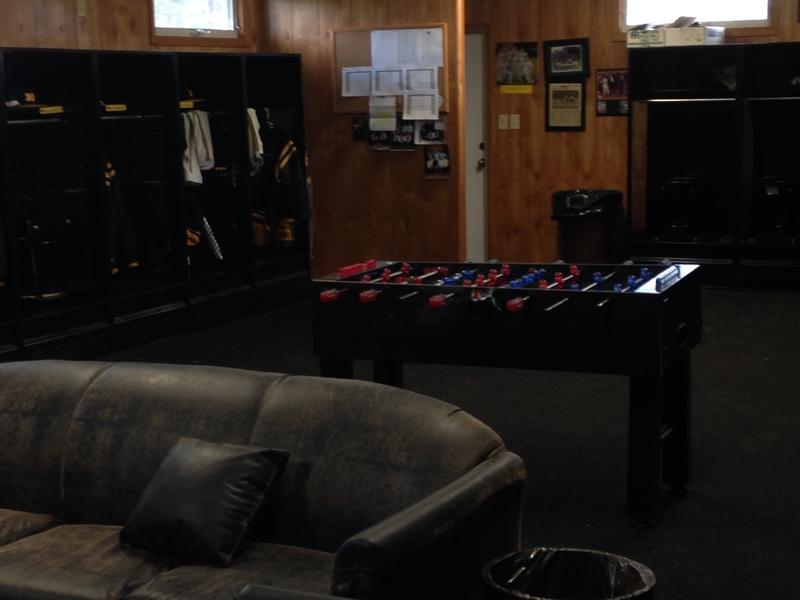 This facility houses both the JV and Varsity program. 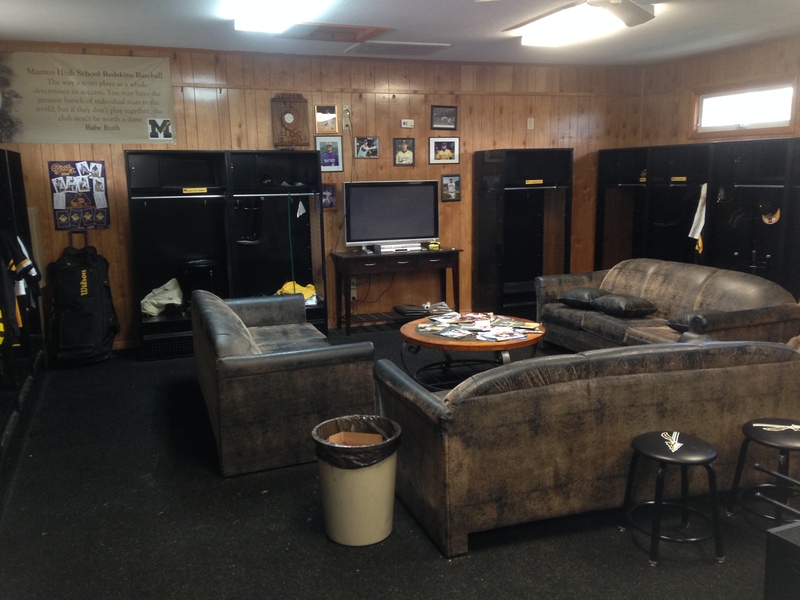 This facility features individual player lockers, couches, and flat screen TV.